Everybody knows that Carter County Dodge Chrysler Jeep has become the consistent vehicle sales leader in all of Texoma…and if you have been in Texoma for any time at all then you know Rocky – the zany, little bit crazy leader of Carter County Dodge Chrysler Jeep. Whether Rocky is trading for a pig, giving away thousands of dollars – or just doing something plain silly… Rocky is always up to something. What you might not know is the commitment that Rocky and Carter County Dodge Chrysler Jeep has made to Texoma. As a locally owned and operated dealership, it has been Carter County Dodge Chrysler Jeep’s commitment to give back to the community that has been so kind to them. Whether it is coaching wrestling or football teams, sponsoring golf, poker tournaments or charity galas you are sure to find a member of the Carter County Dodge team participating in the event. 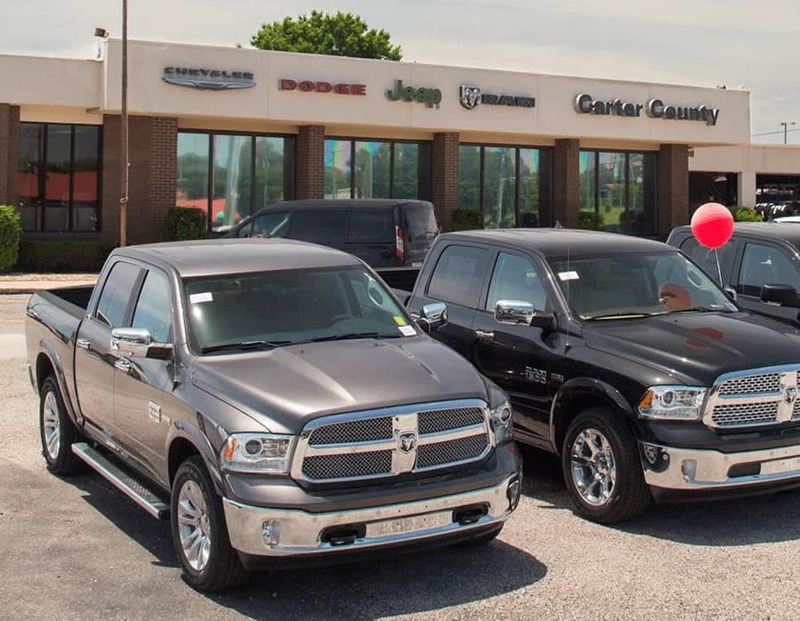 Carter County Dodge Chrysler Jeep has also chosen to reinvest millions of dollars in the local economy over the last eight years through numerous renovations and expansions to the dealership to better serve the Texoma community. These include facility expansion and service equipment upgrades ensuring the very best state of the art service for all of Texoma. Carter County Dodge Chrysler Jeep is proud to serve Ardmore with quality new and used vehicles. With models like the new Ram 1500, Challenger, Dart, Grand Caravan, Wrangler, Patriot and Town & Country, we have something for every taste and need. Come visit us at 3600 W. Broadway Street to see our vehicles and take one for a test drive. If you’re looking for a used car in Ardmore, we can assist you there as well. Visit our inventory page to see our large collection of pre-owned vehicles. We aren’t just your Ardmore Dodge, Ram, Jeep, and Chrysler dealership, we also provide a full line of services dedicated to our Oklahoma customers. From Dodge, Jeep, Ram, and Chrysler car repairs performed by expert mechanics, to OEM Dodge, Ram, Jeep, and Chrysler auto parts, to car loans, Carter County Dodge Chrysler Jeep is the smart choice for your automotive needs. Come in and say hi! We’re located at 3600 W. Broadway Street or you can call us.